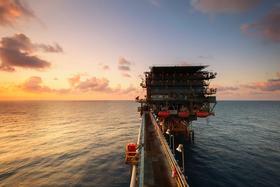 The American Petroleum Institute wants to expand oil drilling in the Gulf of Mexico and along the Atlantic coast. API says safety isn’t a concern this time. When asked about the safety of offshore oil drilling, the co-chairs of API’s Offshore Exploration coalition were adamant that there were no concerns. After all, Offshore Exploration says since the Deepwater Horizon incident in 2010, large overhauls have been made to ensure safety. Offshore Exploration Co-chair and former Virginia senator James Webb says that safety is a top priority. The sunshine state offers some unique issues for supporters of drilling expansion, though. One of those issues? The governor. When the Department of the Interior announced its plan to push for expanded oil drilling in the Gulf of Mexico and the Atlantic coastal shelf, Governor Rick Scott voiced his opposition, leading the Interior to exempt Florida from its plans. To get this program off the ground, API is going to have to change the minds of some powerful people all while fighting against the public concerns about the safety of oil drilling.